Australia House, Whitby, North Yorkshire. 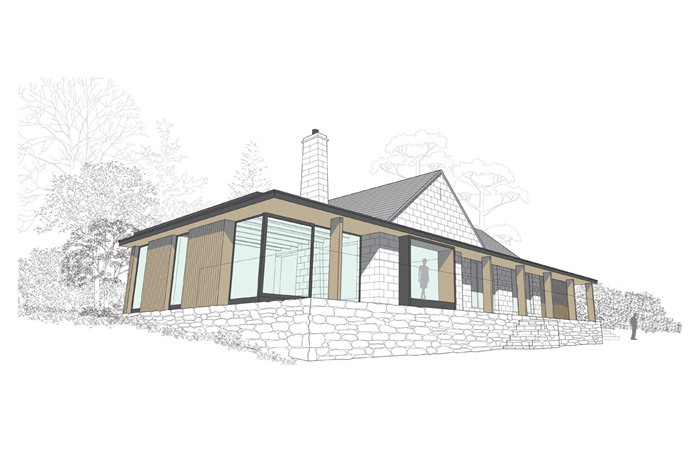 Contemporary re-modelling and extension. The architecture includes a simple canopy wrapping round the rear of the building responding to the horizontal nature of the surrounding landscape. 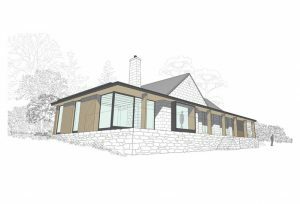 Architectural design project by Ian Hazard Architect.